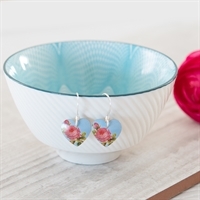 Floriography is the 'language of flowers'. For the Victorians flowers were precious gifts and each variety contained a hidden sentiment. 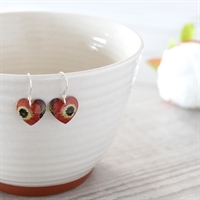 This is a collection of necklaces and earrings featuring floral prints to represent favorite flowers and their beautiful heartfelt wishes. 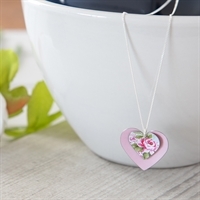 A new design of necklace featuring a double heart. 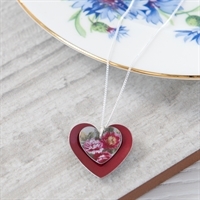 A double heart necklace featuring a Peony representing good fortune. 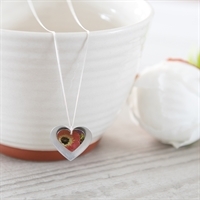 A double heart necklace featuring a Poppy representing remembrance. 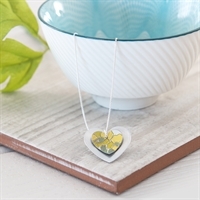 A yellow Primrose heart necklace representing patience and kindness. 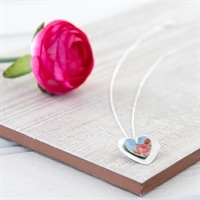 A double heart necklace featuring a Forget-Me-Not representing love and memories. 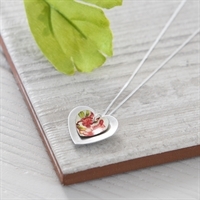 A double heart necklace featuring Blossom representing partnership and love. 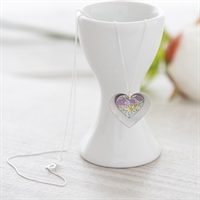 A double heart necklace featuring Lilac representing tranquillity. 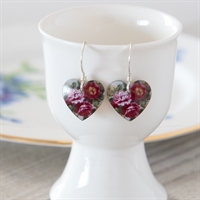 Sweet round heart earrings in our pretty Rose print. 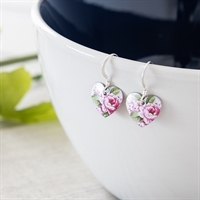 Sweet round heart earrings in our pretty Carnation print.